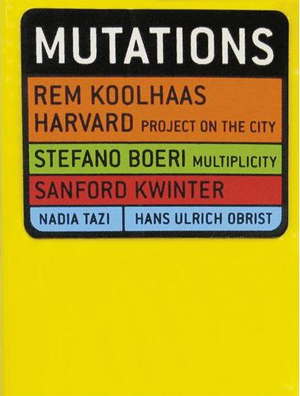 In a world redefined today by communication networks and by a progressive erasure of borders lead by economic forces, Mutations reflects on the transformations that the acceleration of these processes inflicts on our environment, and on the space left for architecture to operate. 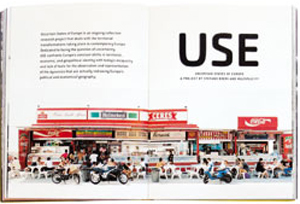 Introduced by charts and statistics on global urbanization and a series of essays describing the nature of the changes operating in our cities and in our economies, the book is organized as a heavily illustrated atlas/survey of contemporary urban landscapes. In a world redefined today by communication networks and by a progressive erasure of borders lead by economic forces, Mutations reflects on the transformations that the acceleration of these processes inflicts on our environment, and on the space left for architecture to operate. 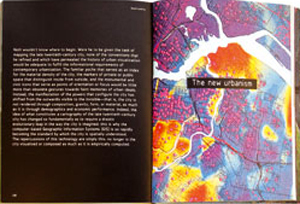 Introduced by charts and statistics on global urbanization and a series of essays describing the nature of the changes operating in our cities and in our economies, the book is organized as a heavily illustrated atlas/survey of contemporary urban landscapes. The Pearl River Delta in Southeast Asia (by Rem Koolhaas and the Harvard Project on the City) exemplifies the extreme speed of urbanization of former rural areas and highlights the role played by traditional infrastructures in this process. Europe (Uncertain States of Europe, a project by Stefano Boeri and Multiplicity) would describe the end of traditional urban models, the reality of a new configuration of European cities and of the states that evolved from them. 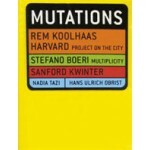 A survey of American cities (by Sanford Kwinter and Daniela Fabricius) adds to this vision the reconsideration of the notion of infrastructure, and of the powers that define urbanization. 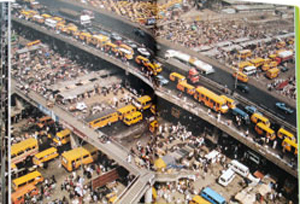 Lagos (a study by Rem Koolhaas and the Harvard Project on the City) is a last unfamiliar territory that would give indications of new forms of globalizing modernity, and possibly of things to come elsewhere.